On Wednesday night (14 November) we received a report at 8.34pm from control tower staff at Southampton Airport that a green laser was being shone into the cockpit of a plane which was circling 7,000 feet in the air over Netley. Luckily it was not shone directly in the pilot’s eyes and he was able to maintain control of the aircraft, but this careless act by someone on the ground below could have had catastrophic consequences, particularly when coupled with the fact that visibility was reduced as a result of fog. 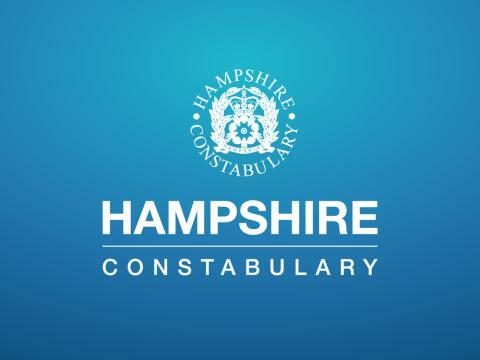 Officers deployed to an area near IKEA in Southampton, as the laser had reportedly been shone from this area, but the person responsible was not located. The plane, which had flown from Glasgow, was diverted to another airport as a result of the fog where it landed safely. Endangering the Safety of an Aircraft contrary to Article 240 of the Air Navigation Order 2009 (A person shall not recklessly or negligently act in a manner likely to endanger an aircraft). Article 225 of the Air Navigation Order 2016 created the offence of direct or shine any light at any aircraft in flight in such a way that it will dazzle or distract a pilot. On 10 July this year, the Laser Misuse (Vehicles) Act 2018 came into force. Under this new law it is a crime to shine or direct a laser beam that dazzles or distracts, or is likely to dazzle or distract, air traffic controllers, pilots, captains of boats and drivers of road vehicles. Offenders face much tougher penalties of up to five years in prison, an unlimited fine or both. “This activity is highly dangerous and irresponsible during any phase of flight, however during critical times such as landings at night or with reduced visibility, it is especially dangerous. “Conditions last night were difficult enough without the use of a laser impeding the cockpit crew further. “We are committed to investigating all reports of this type and work alongside Southampton Airport, the airlines and our colleagues from the National Police Air Service, to take appropriate action to tackle this type of offending. “A large number of laser incidents involve young people whose parents are not aware their child owns a laser or believe it is a suitable toy. It is not illegal to possess a laser pen but we are keen to stress to both adults and children that these items are dangerous, especially when shone directly at an aircraft. Anyone with information about this incident is asked to call police on 101, quoting 44180428314.